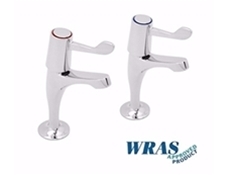 Die-Pat chrome plated basin pillar taps with levers in 3" and 6" available. 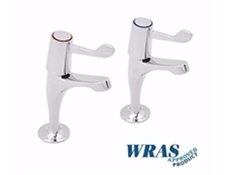 These pillar taps are Chrome plated and WRAS approved. Pillar Taps with Levers - 3"
Pillar Taps with Levers - 6"